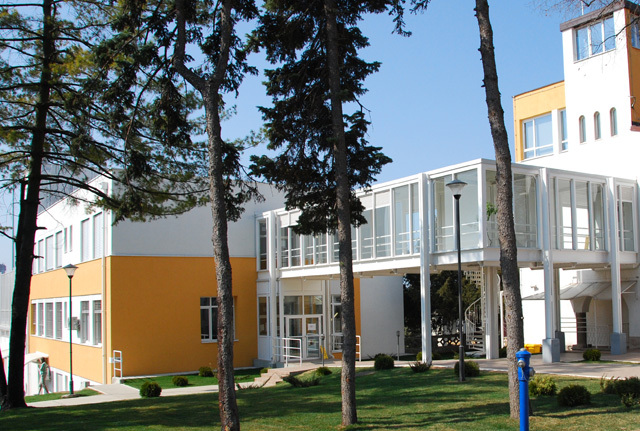 Hello I've been a student of the International School Of Belgrade for the past three years and prior went to one in Cyprus. So I have a fair deal of knowledge when it comes to private schooling. Very often I get asked about how it is going to one and here are the advantages! 1.Safe learning community: This I believe is one of the biggest advantages one has when going to a private school. Bullying is taken very seriously and there are serious consequences for it thus it rarely happens. Following everyone's opinions are respected in class therefore students have the freedom to express their ideas without worrying if they will be judged. 2. Develops life skills: Teamwork is emphasized on a skill that is very valuable in all office environments, being required to work with all sorts of people over just your group of friends develops your communication and problem solving skills. Furthermore during homeroom classes topics such as organization health and safety etcetera are addressed. 3. Better teaching potential: With private schools in general having a much smaller student to teacher ratio than public school you have to ability to get more out of your teacher than you would in a bigger classes. Also teachers with higher qualifications are normally given the jobs as the salaries are higher and thus the schools can be selective of who they choose. 4. Respected by Universities: With strict rules maintained the private schools take great care of their name through rules they have, standard of work they give to their students and making sure no academic dishonesty is practiced. This way universities know that if you graduated from such school your academic report truly reflects your knowledge and they deem you a more eligible candidate. 5. Ability to concentrate on subjects you are interested in: This is probably one of the best things I find in private schools or the IB program at least. You are given the ability to pick your subjects in 11th and 12th grade, this way you can concentrate on what really interests you and you want to study in the future over studying and cramming for subjects you have little to no interest in. 6.Helping the community: This is another thing private schools or ones that practice the IB program at least are required to take part in a class called CAS. CAS is short for community activity and service here you are able to work with less fortunate people in the community such as orphans, kids in vocational school and many more. This makes you aware that there are people in your own community who are less fortunate and aside from making you more appreciative to what you have the experience also makes you want to give back and help the less fortunate. 7. Extracurricular activities: This is another thing private schools are big on, making a well rounded student. Students are encouraged to take part in extracurricular activities such as being in a sport teams, debate clubs, math teams and many more. 8. Help for universities: As there tend to be less students in private school there is aid for the students when coming to picking a universities to apply to, writing application forms and sending the letters out. 9. You know everyone: With less people in your school you tend to know everyone this builds stronger relationship between students and you are friends with everyone! This helps a lot if you are a new student to get to know everyone and not be anxious what group to pick. 10. Fair grading: With strict grading rules and models it is very hard for a teacher to unfairly grade students based on the teacher’s preference and some tests are graded externally at times. So there you have it the private school experience is overall a very pleasant and has its advantages over public schools at times. What do you think is better? Have you gone to a private school? If you have let us know in the comments your experience!